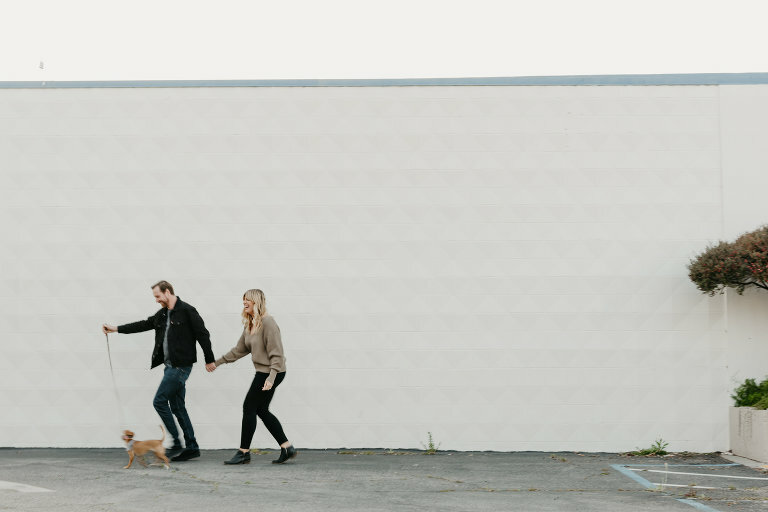 We are Doriana + Jeff Hammond, a husband and wife team calling California home. It’s always a bit awkward to talk about yourself, but since we ask you to share your story with us we figure it’s only fair to tell you a bit about ours. Our road has been a windy one and our story, just like yours, has many different chapters. We are musicians (well, Jeff is), painters (well, Doriana is), film makers, and yes...so lucky to be photographers documenting joy, exuberance + all the goodness of the in-between moments. We quit our jobs with non-profits and moved to Central America back in 2009 just three months after meeting each other. We documented, explored and most importantly fell deeply in love. We have been inseparable ever since and still love to travel + explore and grow our wide range of passions from human rights to surfing. You can read a bit more about us and our story in these articles on Rangefinder Magazine, Junebug Weddings or see what’s in our camera bag by looking at our feature on Shotkit. We believe whole heartedly in marriage equality for all. We are Doriana + Jeff Hammond, a husband and wife photo collective calling California home. It’s always a bit awkward to talk about yourself, but since we ask you to share your story with us we figure it’s only fair to tell you a bit about ours. Our road has been a windy one and our story, just like yours, has many different chapters. We are musicians (well, Jeff is), painters (well, Doriana is), film makers, and yes...so lucky to be photographers documenting joy, exuberance + all the goodness of the in-between moments. We quit our jobs with non-profits and moved to Central America back in 2009 just three months after meeting each other. We documented, explored and most importantly fell deeply in love. We have been inseparable ever since and still love to travel + explore and grow our wide range of passions from human rights to surfing. You can read a bit more about us and our story in these articles on Rangefinder Magazine, Junebug Weddings or see what’s in our camera bag by looking at our feature on Shotkit. We love that weddings are the one common rite of passage that most everyone in the world shares. Our aim is to document inspired and creative weddings that tell a complete story of love, family and some of the most amazing moments of celebration. We are so excited that you will bring elements of your relationship, love and shared life together to have one epic celebration and we want to be there to document all the spontaneous and amazing moments that will occur. Get in touch to find out if we are available to document your celebration! We get a lot of questions about how we began our journey with photography. We both got started shooting photos as a way to tell the stories we cared about. Doriana studied visual anthropology and worked on many projects in Mexico + Latin America and Jeff has a background in documentary photography always using the lens to tell a story of life and the human experience. Whether we are shooting a wedding, or collaborating with a non-profit, our main purpose is to really get to know our subjects and hang out until the camera is ignored and we all just start to blend. Beautiful, comfortable and insanely happy photos come from a collaboration between all of us. What we mean by that is what really makes photos come alive is us spending time together- getting to know you, hear all about you and finding that comfortable space for you to be photographed in just as you are. It’s totally normal to be nervous about having your picture taken and most of our clients begin the process feeling that way but always come out of the experience telling us how fun it was to be photographed. Like everything in this day and age, photography and especially wedding photography is changing at an extremely rapid pace. From shooting styles to equipment, the industry is moving fast. We always incorporate many different styles of photography into our process. We stay current, but are looking to the past to gain inspiration from some of photography's masters like Henri Cartier Bresson, Robert Frank, Richard Avedon, and Susan Meiselas to name a few...basically we nerd out on all different types of photography and art and incorporate it into our own work. A wedding day is an amazing blend of documentary moments, fine art portraiture and scene setting editorial imagery. You will find all of it in your set of final images. we gain inspiration in many different ways be it an amazing painting, a recent ad in a magazine or a moment we witnessed between two people in front of the coffee shop. Being open + aware is how we try to live our lives. Our background has rooted us in documentary photography - taking on long term projects, getting to know our subjects in order to achieve the most organic imagery possible. If this is done well, your subject will open up to you and your camera allowing for emotional, moving imagery to occur (the best, the best, the best!). While weddings are typically only one day, we spend time getting to know you before your big day and always, always, recommend lifestyle engagement sessions. We believe in them 100% as an amazing way for all four of us to get comfortable and friendly with the camera. This way come wedding day there is not a bit of stress about getting your photograph taken and you are comfortable and natural in front of the lens allowing us to create beautiful imagery. We are responsible for making sure the location, light, and artistic direction translate well behind the camera, and it is up to all of us to work together to make sure your images are representative of who you are. During an engagement session and wedding day portraits our goal is to give you direction and allow you to become your natural self in front of the camera. It works out well- we promise!